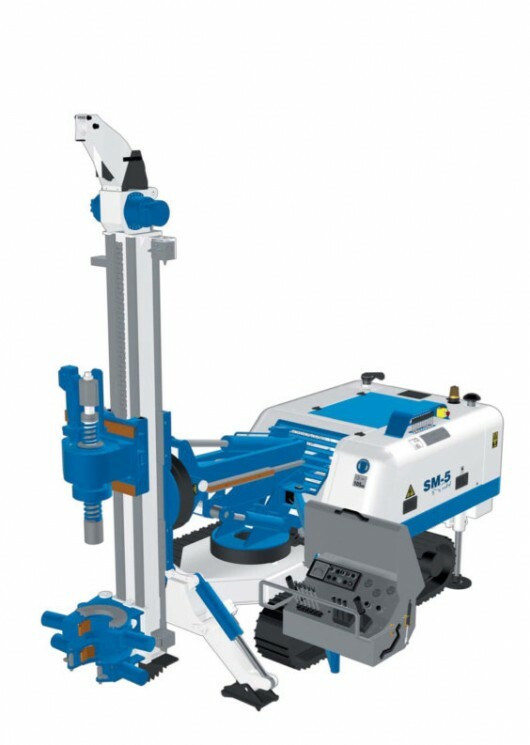 The SM-5 is a compact drill rig weighing 5.6 tons, available both with a combined kinematic mechanism that includes a telescopic arm, a +/- 90° tilting and a slew ring on mast (standard version), and in the G version that features a fixed kinematic mechanism and coring rotary, for soil-investigation. The significant installed power, 72 kW, achieves high performance despite small dimensions, thanks to a wide rotary selection with torque values ranging between 690 daNm and 2100 daNm. The SM-5 is a multipurpose rig that suits a wide range of civil engineering work requirements with minimum operating costs. The Soilmec advantage is a real multi-purpose machine designed to offer the best drilling solution with a long life expectancy whilst retaining a high residual value.